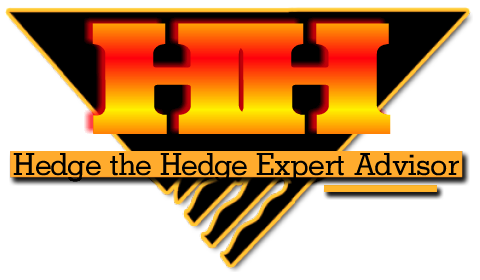 Hedge the Hedge - Grid Trade Fast in the "channel"
Hedge the Hedge (HH) was originally conceived as an EA which would trade purely based on Price Action. One thing is guaranteed in forex: no matter at what price your placed a trade, the price will eventually move either up or down. If the price moves in the direction of the trade then all we need to do is set a take profit point, and close the trade when it is hit; -but what if the trade goes against you? With some EA’s if the price moves against the direction of the trade they use a stop loss, and close the trade at a certain loss. There are many EAs which work on this principle, and in order to make money they rely on the trade direction decision to be correct more often then they get it wrong. If the price moves a certain distance from the first trade it will open a second trade hedging in the opposite direction. The distance between the two trades is the channel, and is set by the user, and the TP distance used for the first trade is now used for the second trade. This is the way HH keeps the TP in the direction of the trend and why huge price movements will never blow your account as HH will catch the trend when it breaks out of the “channel” -no matter which way it goes. Note: This EA will not work with brokers who do not allow hedging. The lot size of the first trade can be fixed, or automatically calculated using Money Management. The lot size of subsequent trades is calculated to be of a sufficient size to cover the loss incurred on the first trade and also guarantee an overall profit i.e. it ensures that the Break Even point of all trades lies on the right side of the new TP point. The size of subsequent trades depends on the Channel & Take Profit settings together, the wider the channel and the closer the TP the higher the lot sizes will have to be to make up the channel loss and make profit quickly from the new hedge trade. The first trade becomes one boundary of the channel, the second trade makes the opposite boundary. Should the price reverse again before the TP is hit for the second trade, HH will open a third hedge trade in the same direction as the first trade and at the same level of the first trade. Trades are placed each time a channel boundary is reached in the opposite direction, setting the TP point and lot size in the same manner as trade #2. In this way every time the channel boundary is hit HH will open a bigger trade in the opposite direction - in effect it is hedging the hedge trade - which is where the name came from. If you like a more hands on approach when running EAs, you also have the option of manually adding trades to the basket. The basket of trades will close when the Take Profit point has been hit, but you also have the choice of increasing the profits using Profit Trailing or a Trailing Stop. Take Profit points are normally kept internally, but you may use the Stealth Mode to send the actual or a dummy TP to the broker in case of loss of internet connection. HH has our usual Equity Protection functions, such as Equity Stop Losses, Power Out Stop Loss and Emergency Close All. There are also several means of restricting trading, including a trading time filter, ShutDown and Holiday Shut Down functions. Trades are tracked using our trade tracking function, with user defined Trade Comment and User Comments. HH will give you visual feedback information via a display overlay, as well as lines to show BE and TP points and buttons for improved trade execution. It will also save statistics in order to allow you to create an equity chart. - It can trade any pair as the channel & take profit is fully adjustable.